I realized that I will end up giving away more books than I thought and I’m okay with that. This past weekend I giveaway two books at the Lit Crawl I participated in. It was a short reading for me but I had a lot of fun. It wasn’t just me who read their work so I felt even better to be a part of a larger collective. In terms of things I’m involved with and doing… I’m not done this month. 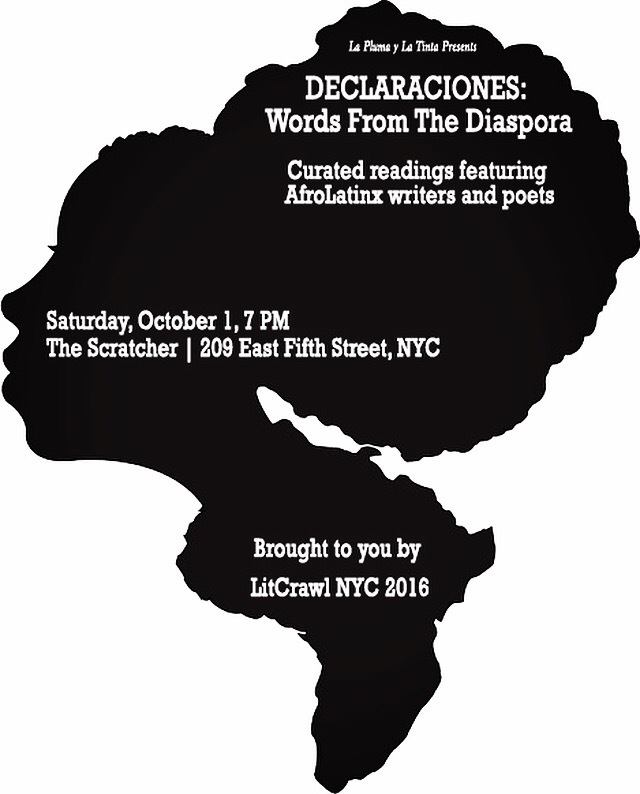 I have a reading on October 15th in Washington Heights and I’m also going to be in the LETRAS – Latino Self Published Book Fair on October 23rd at the Bronx Museum of the Arts. I will talk about these on a later post. To end the month, I will be going to Georgia to visit family and speak at a book club. I just plan to be in more places as I continue this thing called writing. When I started this, I found myself being frightened by the readings and the public appearances. But, as I’ve come to recently learn, if there’s fear in a opportunity then I must take it. It means that I might afraid of potential success. As we know, fear is paralyzing and I cannot have anything stop me. Of course during my adventures, I take pictures and post on them on Instagram. I tend to get a warm reception on this platform so I will I will give my Instagram audience a chance at a free copy of The Book of Isabel. The rules are pretty much the same as the other two. If you follow me on Instagram comment on the photo accompanying this announcement (on Instagram) and give me the name of good book you’ve read written by a Latinx author. I will randomly choose a winner. This giveaway ends on Friday, 10/7. Despite my business, I can say that I’m still doing this. Yup, another book giveaway during Latinx Heritage Month. The first one was… well someone won and it was a no brainer really. Before I announce the rules, I want to mention that I will be doing a book reading this Saturday in Lower Manhattan. See details below. 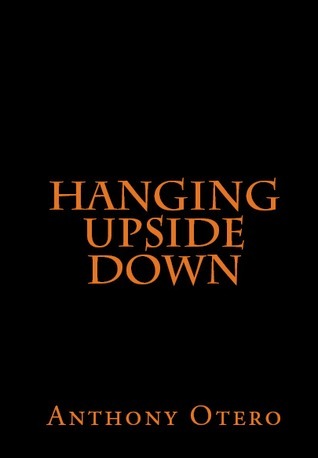 Let me also add that this Saturday is the 2 year anniversary of Hanging Upside Down. I can’t believe it has been two years already. If you haven’t read it… now would be a great time. Okay! So this one is for my Facebook peeps. If you follow me on el Facebook either on my fan page (I hate saying that) or my personal one, comment on this post on one of those pages and give me the name of good book you’ve read written by a Latinx author. I will randomly choose a winner and they will get a copy of The Book of Isabel. I will close this giveaway on Friday, 9/30. I’ve been too busy with work to really put the time and energy to get more blog posts out. The good thing is that this is always in the back of my head so that when I do want to write something down, I know exactly what to say. So… I’m giving away some books this month (September 15 – October 15th). I mentioned this on Twitter last week and now I’m doing some follow up. I’ll be giving away 4 books during Latinx Heritage Month. I have been very careful on how I market The Book of Isabel because I’ve wanted to do things differently from Hanging Upside Down and the results are interesting to say the least. Anyway, the first book giveaway starts… well, right now. This giveaway is for the followers of this blog. Ya’ll have been so amazing and I want to thank you. So yes, you must be a follower for one… and two… you must comment on this post and tell me what’s the best book you’ve read this year. I will end this giveaway on Friday, September 23 at 9pm EST. I will announce the winner and then… announce the terms of the next giveaway! Last week’s reading of The Book of Isabel went well. It’s always good to connect with old friends, family, and meet new people. I find myself being more comfortable with my role as an author. I think I can really get used to appearances. I find myself thinking about what kind of person I am when I do these readings. There was a time in my life when I did not like speaking in public. I can remember when I was in the 1st grade having to sing “It’s a Small World After All” in front of the whole school and freezing in front of everyone in gymnasium. That was the first time I has stage fright. Now, I feel that I have the capacity to talk to large crowds if I had to thanks to my various job training. Not that this was a large crowd. This was more like a small listening session filled with people who support me. I’m so grateful for them and all the love they shown me. I knew going into this that not too many people would show because this is the summer time and any event you during this time can get a low turn out due to vacations and such. There a few people who did tell that they couldn’t when I announced the date so I knew that the crowd would be a cozy size. I still found myself surprised by those who did come. Anyway, Hellphone in Brooklyn was a nice place. I enjoyed the venue. Books were sold and signed and a good time was had. Sorry to those who missed it. Perhaps I will do another. You can still order The Book of Isabel at anytime here on my site. Thank you to Raquel Penzo for hosting and interviewing me on stage. Thank you all for coming out and do not forget to rate the book!